Having last won the title in 2010, Denton West pulled three clear of nearest rivals Prestwich by making it seven Championships with a ten point margin over Woodbank. Glossop and Prestwich finished a further four points adrift with Roe Green taking fifth spot and the last Lancashire Cup place for 2014. In the first match of the season, West piled up 244-5d against Stretford with Andy O?Brien?s 14th fifty stretching to his second century (103). Newcomer Mike Schofield scored 66 on debut and then Dave Morrell became only the second player after Woodbank?s Chris Humphreys to take all ten wickets (for a record low 27) in the first division. It was his 22nd ?five for? and bowled the visitors out for 75. DSL had an unbeaten 77 by Scott Allen to thank for a nine wicket win chasing Thornham?s 124 all out. Simon Read (4-38) and Saj. Nawaz (5-24) bowled Denton out for 67 as Woodbank won by 7 wickets at Egerton Street, and Dukinfield?s new South African pro Wade Lezar took 6-26 as Stand were bowled out for 96. Dukinfield won by 6 wickets. Woodhouses scored 201-9d at Catherine Road and in reply Cheetham Hill lost 9 wickets for 114, but with the last batsman injured, all 5 points went to Woodhouses. Gareth Williams with 4-45 helped bowl Flowery Field out for 131 and Roe Green passed this total for the loss of 7 wickets (Ghulam Abbas 4-63). Prestwich suffered as they were to do all season by not bowling the opposition out and being restricted to four points. Lee Dale (42) and Dale Pennington (36) started their prolific season in which they both exceeded 1000 runs, in a Glossop total of 155-6 (Wilf Reeve 3-32) and then new pro Carl Hey with 69 (his 20th half century) and James Wharmby (63 not out) gave Prestwich an eight wicket win. Like the frequency of London buses, the chance of another ?all ten wickets? was a distinct possibility at The Kenyons, but Rashid Nadeem had to be content with 9-48 (his 25th ?five for? as Woodbank?s last batsman was injured. It helped DSL bowl Woodbank out for 145 following the visitors 192-9d (Liam Garnett 69, Ben Tighe 57); Simon Read taking 4-70. Denton West went top of the table where they were to stay all season with a four wicket win at Slattocks. Thornham scored 186 with James Maurice-Scott scoring 68 and Steve Oddy (5-63) and Hamish Dunlop (4-85) doing the damage with the ball. It was Oddy?s 20th five wicket haul. John Barnett scored 84 for Denton West. Dukinfield also made it a maximum 10 points after two matches following a close encounter at Lesley Road. Stretford?s Chris Laker (77) and new pro Adam Hewitt (50) recorded their first half centuries in a total of 220 with Wade Lezar continuing his early season form with 8-64. Despite Nathan Turner?s 4-62, Farhan Hussain (53) and John Gascoigne (53 not out) saw the visitors to a two wicket win. Prestwich stayed within a point of the leaders after scoring 240-8d at Medlock Road. Carl Hey (61) and Oliver Holt (42) were the chief run getters and then 4-45 from Wilf Reeve and 3-33 from Danny Jones bowled Woodhouses out for 97 (Mike Cassidy 36). Glossop picked up their first points of the season at Roe Green with Dale Pennington?s 54 being the top score in Glossop?s 210-7d. League team captain Will Hargreaves then took 6-26 (his 25th five for) as Roe Green finished on 122-9 to restrict Glossop to four points. Stand?s first home game realized five points when they scored 223-9d with Stuart Catterall top scoring with 61. Mohammed Jamil?s 6-74 was his first five wicket take. Jack Walmsley (4-38) and Matt Curphey (4-24) then combined to bowl Flowery Field out for 148. Cheetham Hill?s Khurram Naveed?s first fifty (61) combined with 44 from Mohammed Shahzad saw the home side score 218 (Steve Wharton 5-53) and then Shahzad took 6-49 to help bowl Denton out for 182, victory coming off the last available ball. Jamie Garde?s 48 was top score for Denton following his 57 in 2012. John McAllister with 41 and John Foreman an unbeaten 43 took Denton West to 187-6d with Simon Read taking 4-66 for Woodbank. Steve Oddy then became the third bowler in as many weeks to grab a bag full of wickets with 9-34 as the visitors were dismissed for 103. Wade Lezar?s third ?five for? in three games (5-46) bowled Thornham out for 159 and Dukinfield recorded a six wicket win to stay level with West. Prestwich moved up a place to third, but they dropped a point as Roe Green closed on 103-9 in reply to the home side?s 184-8d. Carl Hey (73) and James Wharmby (42) were the main run scorers with Andy Hough taking 4-76, whilst Jordan Stephens (40) top scored for Green and Andy Bradley taking 6-27. A tight game at Sycamore Park resulted in a four run win for visitors Cheetham Hill. Khurram Naveed scored 63 and Ben Tighe took 6-78 in Cheetham Hill?s 149, but 4-32 by Atif Riaz resulted in the narrow victory. Woodhouses moved up four places to fifth after amassing 279-5d away to Denton. Mike Cassidy?s 89 was his 68th fifty and 94 from Shereryat Hassan (his first fifty) preceded Denton?s 196 all out (Farrukh Bukhari 5-68). Glossop moved up three places to 7th with a nail biting one wicket win against Stand at North Road. Lee Dale scored 67 and Oliver Kenyon 59 as the home side passed Stand?s 189 all out. Stuart Catterall?s 19th fifty progressed to 111 not out (his fourth century) whilst Will Hargreaves took 5-64. Stretford leapfrogged Flowery Field when they passed the home side?s 235-8d for the loss of 5 wickets. Imran Zaman scored 83 not out for Flowery but Chris Laker?s first century (126 n.o.) was the main thrust of Stretford?s reply. Hamish Dunlop?s first fifty (64) and Mike Schofield?s second (55) saw Denton West close on 175-8 but Cheetham Hill held out on 101-6 to deprive West of all 5 points. Prestwich moved up to second place when they bowled Stand out for 63 at Hamilton Road. They were 33-8 but when the next wicket fell on 63, they were effectively all out due to a bad Achilles tendon injury to their star all-rounder Stuart Catterall. He would be a sad miss for Stand for the rest of the season and it is hoped that he will make a full recovery. Danny Jones (5-21) and Wilf Reeve (3-27) were the chief wicket takers and Prestwich lost two wickets on their way to victory. In a reduced overs match at Woodbank, the home side scored 178-4 (Dave Bell 49 not out) and Dukinfield?s revised target saw them fall short but glean a point on 114-7. The local derby at Egerton Street resulted in a win for DSL with Adam Hawley?s captain?s knock of 76 not out being the best in a total of 161-4d. Mike Batty (5-42) and Ben Tighe (5-66) then bowled Denton out for 124. Nick Hardman?s 5-38 restricted Roe Green to 151-7d at Medlock Road and then Stuart Cormie's first half century (51) helped Woodhouses pass their revised target of 132 for the loss of six wickets. Dale Pennington recorded the joint highest amateur score of the season as he hit an unbeaten 42 at Stretford. It was his sixth ?ton? as Ahmed Muhammad took 4-39 in Glossop?s 224-6d. Chris Laker scored 53 and Oliver Kenyon took his first ?five for? (5-38) as Stretford reached 140-9, but short of a point. Flowery Field swapped places with Stretford when they came away from Thornham with four points. Mohammed Jamil took 6-54 as Thornham reached 141-9d in 33 overs before Harry Gee?s first fifty (52 n.o.) took Flowery Field to a revised total of 123 for the loss of one wicket. With rain preventing any play at Flowery Field (v. Woodbank) and Prestwich (v. Stretford), West extended their lead at the top to three points when they took four points off Denton. Andy O?Brien scored 58 and Mike Schofield 67 in West?s 189-5 from 38 overs and then Steve Oddy took 3-16 in Denton?s 111-4, Malik Ashgar top scoring with an unbeaten 48. Dukinfield took the lion?s share of the points with a 4-1 win against Cheetham Hill, David Mayne top scoring with 50 in a total of 194-9d. Saj Ahmed scored 59 as Cheetham Hill scored 167-9. Woodhouses moved up to fourth place when they bowled DSL out for 71 with Farrukh Bukhari taking 4-22. Woodhouses passed their total for the loss of two wickets. In a 35 over match at North Road, Stephen Bates scored 57 not out in a total of 171-3 and then Oliver Kenyon took 5-44 as Thornham closed on 114-9 in a 4-0 win for Glossop. Roe Green scored 153-5 against Stand and then had Chris Jones to thank with his 4-42 restricting Stand to one point on 119-9. Denton West made the short trip to Sycamore Park and returned with all the points after Dave Morrell had taken 5-42 against his old club in a total of 128, prior to an eight wicket win. Dukinfield remained three points behind when, after scoring 175-7, they bowled Denton out for 143, Andrew Neill taking 5-38. Woodhouses moved up to third place with a six wicket win against Stand who scored 143 all out. Nick Hardman scored an unbeaten 77 for ?Houses. Prestwich moved in the opposite direction when, once again, they failed to bowl out the opposition. Steve Orrell opened the batting and rolled back the clock with an innings of 91. Carl Hey was unbeaten on 90 and James Wharmby scored 44 as Prestwich scored 274-3. James Maurice-Scott scored a quick 68 and Chris Heywood scored 52 as Thornham reached 236-8 for a point. It was Heywood?s second fifty, both against Prestwich whose skipper Andy Bradley took 5-72. Glossop remained fifth despite gaining no points at Woodbank. Simon Read took 8-41 as Glossop closed on 139-9 and then an unbeaten 58 (his first fifty) from pro Lewis McIntosh saw Woodbank home by six wickets. Cheetham Hill scored 214-7 against Flowery Field, who were then restricted to 180-9 for a 4-1 result, but Hill remained in 7th place. Bilal Hassan scored 61 not out and Harry Gee replied with 42 as Saj Ahmed took 4-18. Roe Green enjoyed a comfortable win at Stretford when they scored 247-4d and then bowled their hosts out for 94. Jordan Stephens maiden fifty (70) was backed up by 52 from captain Steve Higson and 62 not out from Justin Kenyon. Andy Hough took 6-43 following his 5-83 in 2012. Top against third turned out to be a comfortable four point win for Denton West after they scored 244-7. John McAllister (80), Mike Berry (45) and John Barnett (70) were the main run scorers and then Dave Morrell took 4-51 as ?Houses closed on 142-8 (Dave Garner 42). Prestwich, with another four pointer, moved up to second place with a hard fought win against Woodbank who closed on 163-9 in reply to 184-10. Andy Bradley took 5-64 for Prestwich to follow his 7-56 the year before. Dukinfield dropped to third when they were bowled out 36 runs short of DSL?s 243-4d. Scott Allen?s 106 was his fourth ?ton? and then Ben Tighe took 5-61, Farhan Hussain providing the main resistance with 55. Glossop racked up 318-3d against Cheetham Hill with Lee Dale?s 160 being his ninth century. He was well backed up with 91 from Dale Pennington, but Cheetham Hill replied by scoring 246-8 and a point. Imran Rather scored 70 and Bilal Hassan 60. In 2012 Lee Dale had scored an unbeaten 99 in the same fixture. Roe Green moved up two places to 7th after Justin Kenyon (100) and Jamie Birch (62) saw them to 231-8d. Andy Hough with 5-16 and Chris Jones with 4-7 then bowled Thornham out for 74. The year before, Hough had taken 6-64. Following his transfer from Cheetham Hill, Fahad Ali took 6-44 for Stand as Stretford were bowled out for 133 prior to a three wicket win for the home side. Flowery Field inflicted Denton?s seventh straight defeat when former player Ghulam Abbas took 6-57 in Denton?s 177-9. Imran Zaman with 61 not out and Steve Coulding with 66 gave Flowery a six wicket win. Five points for West, four for Prestwich and the gap at the top of the table widened to five points. John Barnett was unbeaten on 56 as West passed Dukinfield?s 142 all out for the loss of five wickets (Wade Lezar 4-64). Earlier Johnny Forrester had scored 41 and Steve Oddy had taken 3-39. Sam Holden?s pace on a bouncy Cheetham Hill track saw his first ?five for? stretch to 8-69 but a wag of the tail meant that the home side reached 209-9 (Ali Raza 60, Zeshan Mirza). It was Mirza?s second fifty, both against Prestwich. Danny Jones 103 was his eighth hundred and an unbeaten 43 from Tom Gibson gave Prestwich a six wicket win. Omar Yazdani took all four wickets to fall for 68. Woodhouses moved up to third when they chased Stretford?s 277-7 to win by six wickets. Adam Hewitt?s first ?ton? (110) was top score for the visitors but 112 from Nick Doyle and a maiden fifty (69 n.o.) from David Garner proved decisive. Glossop moved up a place when Mark Usher (4-29) and Will Hargreaves (4-17) bowled Denton out for 69. Lee Dale was unbeaten on 57 in an eight wicket win. Despite a Lee Milner hat trick in his 6-115, DSL reached 245-9 with Matt Hawley scoring 100 against his old club. Flowery Field were then bowled out for 189 with Imran Zaman scoring 61 and Danny Hall taking 4-22. Brett Collins 15th fifty (60) and Mark Stringer?s 61st (52) combined with 47 from Steve Loster gave Woodbank a total of 235-8 and then 4-53 by Simon Read meant that Roe Green were short of a point on 147-9. Stringer had recorded a half century in 2012 as well and Andy Hough?s 4-59 followed his 6-91 in the same game. Stand closed on 290-4 at Thornham with Alex Bell passing fifty for the first time and still being unbeaten on 107. Alex Holt also scored his maiden fifty (55) and Peter Walters scored 69. Carl Sutcliffe then took 4-99 as Thornham closed on 220-7 and a point. Mike Berry?s 30th score over fifty (76) took Denton West to 266-8d with Lee Milner taking 4-108, but 45 from Adam Johnson gave Flowery Field a point on 205-8, West catching Prestwich?s habit of not taking all ten wickets. Denton reached 217-9d at Prestwich (see, I told you) with an inspired unbeaten 113 from Andy Ruddy being his first ?ton? and containing 11 fours and 8 sixes. Danny Jones 5-72 was his 35th ?five for? and he followed this with 68 in an eight wicket win. Carl Hey with 81 and a maiden fifty (54) from Tom Gibson, both unbeaten, for yet another four pointer. Jones? five wickets followed similar returns in 2011 and 2012. Stuart Cormie?s first hundred (102 n.o.) took Woodhouses to 212-7 and then they bowled out Dukinfield for 184 for five points. Alex Coates with 4-52 helped Glossop to dismiss DSL for 132 and then 63 from Dale Pennington gave the home side a seven wicket win. The two teams remained in fourth and fifth positions, and indeed there was no change in place for all fourteen teams, the first time this had happened all season. Woodbank took five points away from Hamilton Road when they scored 162-9d and then bowled Stand out for 76 with Lewis McIntosh?s first ?five for? ending up as 6-51. Roe Green scored 204-6d with Phil West scoring 50 and then 5-29 from Andy Hough bowled Cheetham Hill out for 90. Thornham earned their first four pointer at Stretford when they chased 215-8d and won by six wickets. Andrew Micklethwaite with 71 not out and Danny Scott (49) were Thornham?s top scorers after Liam Grey?s 5-51 had restricted Stretford for whom Chris Laker (78) and Adam Hewitt (50) were the star men. Laker?s knock took him past 500 runs for the season. With defeats for Woodhouses and Glossop, a gap was opening up behind the top two, West and Prestwich. West had a good four point win at Windsor Park against Glossop after keeping them to 213-8d. Dale Pennington?s 51 took him past 500 runs for the season and Alex Coates scored an unbeaten 45. Pennington had scored 95 in the 2012 fixture. Will Hargreaves took 3-23 but it was Hamish Dunlop?s 91 that carried West to 219-8 and four points. Thornham scored a healthy 264-8d at Woodhouses with Andrew Micklethwaite scoring 58 to follow his 70 the year before, Danny Scott 54 and James Maurice-Scott 67, his 20th fifty. Micklethwaite followed up with his first ?five for? (7-41) as the home side were bowled out for 177 (Nick Doyle 87). Nick Hardman must also like this fixture as he took 5-50 following his 7-33 in 2012. Woodbank moved up two places to 5th with Mark Stringer?s 50 taking them to 247-7d (Callum Parkinson 4-107). Tommy Wright scored 52 for Stretford but 5-74 from Lewis McIntosh saw their last wicket fall on 163. Dukinfield?s derby defeat at home to Flowery Field dropped them a place to seventh. Wade Lezar took 7-56 in Flowery?s 142-10 but then Lee Milner?s fifth ?five for? turned out to be 10-60 in 25 overs as the home side ended 13 runs short of parity. At their tenth attempt, Denton recorded their first win, scoring 265-10 against Roe Green. Danny Weston scored 69 and Andy Hough took 5-65, his 20th five wicket take. In reply Roe Green were bowled out for 164. Khurram Naveed scored 41 for Cheetham Hill but they were bowled out for 136 by Stand at Catherine Road. Hafiz Aleem?s first ?five for? (6-75) caused Stand some worries but Alex Bell?s 53 gave them a narrow two wicket win. The following day in a reduced (35) over match, Denton West scored 190-9 at The Heys. Danny Jones then hit 72 (his 40th fifty) as the home side won by three wickets despite 5-63 from Steve Oddy. Carl Hey passed 500 runs in the Prestwich innings, and one point was the margin at the top following the game. In a 30 over game at Slattocks, Woodbank scored 208-5d and then had Thornham on 111-9 to collect four points and move up to third place. David Bell?s first fifty (70 not out) was followed by Brett Collins? third century (113) following his 102 in 2012. Lewis McIntosh took 6-62 when Thornham batted. Woodhouses slipped from 3rd to 4th when they lost to Flowery Field at Throstle Bank Street. Stuart Cormie scored 55 and David Garner 46 as Woodhouses scored 206-8d (Lee Milner 4-63). Captain Neil Mistry then scored 51 as Flowery reached their target, also with eight wickets down. The weather was not so kind to Glossop who had Dukinfield on 71-8 in reply to 155-6 when the rains came. Will Hargreaves took 4-23 as the two teams shared four points. For the second day on the trot, DSL conceded penalty runs for a slow over rate, boosting Roe Green?s total by ten runs to 118. Despite this, the visitors won by five wickets with Mark Dillnutt scoring 48 and Andy Hough taking 4-50. In Roe Green?s innings Rashid Nadeem took 4-48 and Ben Tighe 3-24. Richard Rothwell?s first fifty (80) saw Stand to a 39 over score of 158-5 and then Fahad Ali took 5-53 as Denton?s last wicket fell on 123. Ali Raza?s third century (119 n.o.) and Saj Ahmed?s 40th fifty saw Cheetham Hill to 284-6d at Stretford, but the home side had a top run chase, losing their last wicket on 278. Adam Hewitt?s second ?ton? (143) and 49 from Usman Hasan kept Stretford in the hunt. Atif Riaz?s first ?five for? (5-94) was well timed for Hill. A fine all round performance by Hamish Dunlop doubled Denton West?s lead to two points as Prestwich recorded their ninth ?4 pointer? in 12 games. He took 4-26 as Roe Green were bowled out for 93 and then was unbeaten on 42 in an eight wicket win (Mike Berry 39 not out). Andrew Gleave?s unbeaten 52 took Dukinfield to 191-6d but 98 not out from Carl Hey saw Prestwich to victory, also with six wickets down. Danny Jones passed 500 runs in his 29. Woodbank eased to an eight wicket win at Woodhouses after Simon Read?s 4-25 had seen the home side bowled out for 118 (Shereryat Hassan 40). His 7-17 in 2012 produced a similar five point result. Glossop took Woodhouses fourth place with a 4-1 win at Flowery Field. They scored 230 with Lee Dale?s 114 being his 50th fifty and 10th ?ton?. Lee Milner (5-98) and Ghulam Abbas (5-92) shared the wickets and then 4-44 from Will Hargreaves saw Flowery Field close on 173-9. Stand moved to within a point of sixth placed DSL when they bowled the home side out for 96 (Peter Walters 4-26) in reply to Stand?s 239-10. Alex Bell scored 84 and Matthew Turvey took 5-51 for DSL, his first five for. Cheetham Hill moved up to ninth after Saj Ahmed scored an unbeaten 62 in their 211-6d. Atif Riaz then took 5-79 as Thornham were bowled out for 150. Denton moved off the bottom with victory at Stretford, thereby consigning them to the wooden spoon spot. They amassed 331-8d with Karl Taylor?s 114 being his first century, followed by an onslaught by Ashley Addison who hit 5 fours and 10 sixes in his 93. Chris Laker scored 78 but Steve Wharton?s 6-66 bowled Stretford out for 165. Hamish Dunlop continued his good form with the ball by taking his first ?five for? (5-30) to help bowl Stand out for 152 at Hamilton Road; West winning by five wickets. Danny Jones took 6-25 for Prestwich as Flowery Field were bowled out for 82. James Wharmby was unbeaten on 36 as the home side won by nine wickets. Simon Read?s 9-53 took him past 50 wickets and was instrumental in bowling out Cheetham Hill for 121. Atif Riaz took 4-49 but 43 from Brett Collins gave Woodbank a five wicket win. Woodhouses leapfrogged Glossop again with four points at North Road. Chasing the home side?s 152-9d, Shereryat Hassan?s unbeaten 68 took ?Houses to an eight wicket win. DSL remained sixth, Scott Allen?s 30th fifty (69) taking him past 500 runs. Mark Dillnutt contributed 61 in the Saints 219-9d and then Rashid Nadeem?s 6-66 bowled Stretford out for 127. Roe Green?s 4 run win against Dukinfield moved them up two places to 8th. Justin Kenyon scored 86 in Roe Green?s 188-10. Quiasar Rashid followed his first ?five for? (5-19) with his first fifty (67) and Jake Fenton scored 52 but Andy Hough?s 5-77 took him past 50 wickets and ensured a nervous five point win. Denton and Thornham swapped places following Denton?s seven wicket win. The home side were bowled out for 124 with Karl Taylor taking 6-55. The points gap at the top of the table returned to four points as Denton West won at Stretford and Prestwich tied with Glossop at The Heys. West didn?t have things al their own way and had John Barnett to thank again, his 59 taking them to 213-9d (Callum Parkinson 4-77). Captain Robert Grant scored 50 but 4-52 from Jordan Williams saw Stretford lose their last wicket on 202. Lee Dale and Joe Moss each scored 43 and Wilf Reeve took 4-54 as Glossop were all out for 223. Sam Holden (49) and Oliver Holt (48) top scored for Prestwich as they gained parity with one wicket in hand. Tim Rogers took 5-58, his first ?five for?. Woodbank entertained Denton and took the lion?s share of the points in a 4-1 win. Keith Webb?s 71 was his first fifty and Nick Haynes was not out on 54 as Woodbank scored 243-7d. Simon Read then took all six Denton wickets to fall as they reached 190. This followed his ?five for? in 2012. Woodhouses remained fourth after a fantastic run chase against Cheetham Hill. Hill scored 307-9d with Bilal Hassan scoring 142 not out, his first ?ton?, and Khurram Naveed 72. Woodhouses reached their target for the loss of five wickets, with four batsmen passing fifty. Nick Doyle scored 54, Shereryat Hassan 52, Nick Hardman 88 and David Garner 80, Doyle passing 500 runs for the season. DSL remained sixth despite a surprise defeat at Thornham. They batted first and scored 279-6d with Liam Garnett (65), Adam Hawley (75) and Alex Marsh (47 not out) being the main run scorers. Liam Grey took 4-27 and Rashid Nadeem replied with 5-108. However, Thornham edged to a deserved one wicket victory with runs from James Maurice-Scott (87), Ryan Sloan (73) and Michael Sagar (41). Roe Green moved up a place to 7th in a low scoring match at Greenleach Lane. They scored 148 with Flowery Field pro Ghulam Abbas taking 5-46, but then bowled their visitors out for 120 with that man Andy Hough taking another 5 wickets for 46 runs. Dukinfield and Stand exchanged places with Andrew Gleave unbeaten on 66 as the visitors reached 174-7d. Wade Lezar then took 8-41, passing 50 wickets for the season, as Stand were bowled out for 139 despite 49 from Peter Walters. Despite remaining at the back of the grid, Stretford recorded their first five point win, away at Dukinfield. They had Chris Laker?s 66 to thank for a total of 215-8d and then Callum Parkinson?s first ?five for? (7-43) bowled Dukinfield out for 189. Farhan Hussain?s 52 was his tenth fifty. Denton West?s customary five points came with a comfortable Windsor Park win against Thornham. Mike Berry (64) and John McAllister (54) top scored in a total of 252-8d and then 5-28 from Hamish Dunlop bowled the visitors out for 89. Prestwich?s customary four points came in their third meeting of the season against Woodhouses. Sam Holden was unbeaten on 136 (his fourth ?ton?) in a total of 243-6d and then David Garner was also not out, on 66, as the visitors reached 206-6 and a point. DSL hung on for a point against Woodbank, scoring 178-9 in reply to the visitors 222-10 (Mark Stringer 57). Simon Read took 5-78 against Woodbank. Glossop jumped up a place to 4th with Alex Coates taking 5-23 in Roe Green?s 121 all out, Glossop winning by seven wickets. Stand also moved up a place, to 8th, when they passed Flowery Field?s 197-7d to win by five wickets. Kabeel Akram?s 101 not out for Flowery was his second century but 90 not out from Sean Brookes (his maiden fifty) saw Stand home. Denton and Cheetham Hill played out a low scoring game at Egerton Street with the home side falling 20 runs short of Hill?s 133. Khurram Naveed?s 74 was by far the highest score of the match as Karl Taylor took 6-63 for Denton. Atif Riaz then took 6-51 for Hill. The last Saturday in July and Prestwich travelled the short distance to Roe Green and suffered their first league defeat when they ended up 12 runs short of the Roe Green score of 166-7d. Phil West was unbeaten on 73 with captain Steve Higson scoring 43. The home scorer, Rob Squire, told me at tea that his team had enough runs, and so it proved as Andy Hough?s 7-38 was the deciding factor. West had a tricky fixture, away to third placed Woodbank, and they suffered a heavy defeat, 79 all out in reply to Woodbank?s 184. Nick Haynes scored 86 and Keith Webb 45 with Steve Oddy (4-58) and Jordan Williams (4-59) taking most wickets. Simon Read with 4-24 and Nick Kennedy (4-17) proved difficult for West to play. Glossop restricted Stand to 169-6 at Hamilton Road with Sean Brookes scoring 55 and then 52 from Dale Pennington gave the visitors a three wicket win. Mark Dillnutt was unbeaten on 96 when DSL ran out of overs on 221-5d at Cheetham Hill with Adam Hawley scoring 45. Zeeshan Mirza top scored for Cheetham Hill with 49 and Khurram Naveed?s 39 took him past 500 runs. Rashid Nadeem took 3-82 as Cheetham Hill made 206-10. Denton had a good win at Woodhouses despite Mike Cassidy?s 115 not out. It was his 69th fifty and 16th three figure score as Woodhouses reached 232-3d. Danny Weston (56) and Karl Taylor?s (56 not out) tenth fifty took Denton to a five wicket win. Dukinfield moved up a place to 8th after bowling Thornham out for 177 to win by five wickets. James Maurice-Scott?s 55 took him past 500 runs with Wade Lezar taking 5-62. Stretford?s four points against Flowery Field took them level with Thornham on 15 points. Callum Parkinson scored 54 and Nick Walmsley 42 in Stretford?s 223-9d with Neil Mistry replying with a top score of 49 for Flowery Field in their 184-9 for a point. Following the monsoons of 2012, the weather this time round was very good, but the last Sunday of July saw a return of the wet stuff with matches abandoned at DSL, Prestwich and Roe Green. DSL were 20-1 against Denton, Stand 110-3 at Prestwich and Woodhouses 6-0 at Roe Green. Denton West took advantage to open up an eight point gap after bowling Cheetham Hill out for 95. Pro Steve Oddy took 7-35 and West hit their revised target of 60 for the loss of one wicket. Woodbank moved to within a point of Prestwich following four points at Dukinfield. In 27 overs they restricted Dukinfield to 63-3 and lost two wickets for 51 as they met their revised total. In Derbyshire, the weather must have been a lot better as Glossop scored 238-2d in only 27 overs. Dale Pennington?s 110 not out was his seventh ?ton? and Lee Dale?s 108 his twelfth and took him past 1000 runs. Callum Parkinson scored 53 of Stretford?s 121 all out with Will Hargreaves? 6-49 taking him past 50 wickets and included a hat trick. Alex Coates took the other four wickets for 51. In the only other match to reach a conclusion, Thornham scored 135-9 at Flowery Field with Ryan Sloan scoring 55. Danny Davies took 4-30 and Lee Milner passed the 50 wicket mark before John Dodd with 43 took Flowery to 117-3 and their revised target. Making the short journey to Egerton Street, Steve Oddy took 7-57 to bowl Denton out for 141. An unbeaten 76 from skipper Mike Berry took him past 500 runs and his team to an eight wicket win. It followed his 75 in 2012. Woodbank moved up to second place, ahead of Prestwich on more wins, following a home win over Flowery Field. Dave Dickin scored 57 in a total of 145 with Simon Read taking 7-41. Woodbank won by six wickets with Brett Collins passing 500 runs with his 36. Prestwich got four more points at Lesley Road when they scored 230-7, Sam Holden scoring 61 and Danny Jones 49. Callum Parkinson?s 5-67 was the second ?five for? for the left arm spinner. Holden?s knock brought back memories of 2012 when his unbeaten 85 brought the league title to Prestwich. In reply, Stretford reached 195-8 and a point to take them off the foot of the table. Callum Parkinson capped a good day with 44 and Carl Hey?s 5-45 was his first ?five for?. Glossop scored 295-8d at Thornham with Dale Pennington?s 92 being his 40th fifty. Lee Dale scored 77 and Tom Grey took 4-71 and Thornham struggled in response to be bowled out for 109. Ben Tighe took 5-86 and Rashid Nadeem 4-37 as DSL bowled Woodhouses out for 152. Adam Hawley?s unbeaten 69 took his team to a six wicket win. At Hamilton Road Matt Curphey?s first ?five for? (6-28) bowled out Roe Green for 75 and one would have thought a certain five points. Andy Hough however, had other ideas as he took a fantastic 8-8 as Stand could only make 42. Dukinfield beat Cheetham Hill to stay 8th with Wade Lezar taking 6-38 in Hill?s 160 all out. Farhan Hussain with 60 and Andrew Gleave (46) took the visitors to a one wicket win despite the efforts of Atif Riaz with 5-48. Mike Schofield with 41 was Denton West?s top scorer out of 166 all out, Rahid Nadeem taking 5-46 to reach fifty wickets for the season. Mark Dillnutt?s 44 appeared to keep DSL on target but Steve Oddy with 5-57 and Hamish Dunlop with 4-48 orchestrated a collapse to a five run defeat. Like hen?s teeth, Prestwich had a five pointer against Thornham who were bowled out for 145. James Maurice-Scott?s 55 was his second fifty of the season against Prestwich and Danny Jones took 4-34 for the hosts. James Wharmby with 48 and Carl Hey (44 not out) took Prestwich to an eight wicket win. Woodbank dropped a place to third, missing the services of Simon Read on their return to Glossop following his injury at North Road in the Walkden Cup final the week before. Glossop totaled 279-3d with Dale Pennington?s 69 taking him past 1000 runs. Lee Dale?s 101 was his 13th century and Joe Moss was not out on 51. In reply, Woodbank scored 221-9 for a point. Roe Green moved up a place to fifth after bowling Stretford out for 128 and winning by seven wickets. Gareth Williams took 4-56 and Andy Hough?s 6-66 was his 25th ?five for?. Woodhouses lost at Stand but stayed in 7th place. Stand scored 180-6 and then 5-27 from Jack Walmsley, his first five wicket haul, bowled Woodhouses out for 117. Similarly Dukinfield stayed 8th although they suffered a five wicket defeat against Denton. Andrew Neill took 8-39 as Dukinfield were bowled out for 91. Bilal Hassan scored 79 as Cheetham Hill reached 225-8 at Flowery Field. Lee Milner?s maiden fifty (51 not out) was the highlight of Flowery?s 199-10. With rain washing out West?s match at Woodhouses and Woodbank?s match against Prestwich suffering a similar fate, Glossop took advantage to gain five points at Cheetham Hill. Oliver Kenyon took 4-15 as Hill were bowled out for 96 and then Glossop passed their revised target to finish on 89-4. Atif Riaz with two wickets reached fifty for the season. Woodbank were on 136-3 with Keith Webb scoring 51 and Saj Nawaz a quickfire unbeaten 44. Danny Jones two wickets also took him to the fifty mark. Denton West were dismissed for 173 at Medlock Road and had the home side on 43-4 when the rains came after Stuart Cormie had reached 500 runs. Other rained off matches were at DSL and Thornham. DSL scored 253-9d against Dukinfield with Matt Hawley?s unbeaten 98 seeing him hit the 500 run mark. Quiasar Rashid took 6-60 and Dukinfield had scored 27 without loss when the match was abandoned. Luke Norris scored 46 not out as Roe Green scored 159-7 in 38 overs. Justin Kenyon also reached 500 runs as Chris Heywood took 4-95. Thornham were 21-1 at the close. Carl Sutcliffe with 5-32 helped to bowl Stretford out for 75 and in a revised target run chase Stand reached 46-2 and five points. Denton closed on 146-9 at home to Flowery Field with ex player Ghulam Abbas taking 7-75 for Flowery, his 30th ?five for?. The visitors failed to get a point, finishing on 49-6 after 23 overs for Denton to collect four points. In his last game prior to a two year teaching contract in Dubai, Danny Jones was unbeaten on 53 as Prestwich reached 82-2 against Cheetham Hill. Earlier Carl Hey had taken 4-16 in Hill?s 79 all out and when Prestwich batted Sam Holden reached 500 runs. Jones had been influential in Prestwich?s recent successes and will take a lot of replacing. Hamish Dunlop took 6-33 at Dukinfield to bowl the home side out for 93, West passing their target for the loss of three wickets. Glossop moved up to third when they bowled Denton out for 157, Alex Coates taking 4-34. Karl Taylor?s 60 was one run less than his 2012 score. Joe Moss (53) and Dale Pennington (47) were the top scorers as Glossop won by four wickets. Woodbank suffered a reverse at Roe Green with Andy Hough taking 7-39 in a total of 112 (Keith Webb 53). Roe Green lost five wickets on their way to five points. DSL remained in 6th place behind Roe Green following a nine wicket win at Flowery Field. Rashid Nadeem (5-39) and Matt Hawley (4-44) bowled Flowery out for 165 and then 50 not out from Scott Allen and 81 not out by ex player Matt Hawley saw DSL to victory. It was Hawley?s 25th fifty and Mark Dillnutt reached 500 runs in the same innings. Peter Walters scored 62 in Stand?s 189-5d and then 4-12 from Jack Walmsley bowled Thornham out for 58. Stretford moved off the foot of the table with a home win against Woodhouses. Callum Parkinson scored 76 with Nick Hardman taking 6-66 in the home side?s 210-10. Woodhouses were then bowled out for 169 with Stuart Cormie scoring 54 and Ahmad Mohammad taking 5-62, his first ?five for?. After a Lee Milner inspired bowling performance, Flowery Field bowled Denton West out for 88 following his 8-46. Andy O?Brien carried his bat for 29 not out and with Flowery on 38-0 it looked odds on that a spanner was to be thrown in the league leaders works. However, 6-12 from Hamish Dunlop in 11.3 overs and 4-37 from Steve Oddy saw the visitors bowled out for 71 to keep West 9 points clear. Ghulam Abbas, in taking the other two West wickets reached 50 for the season. At Egerton Street, Steve Orrell scored 61 and James Wharmby 44 as Prestwich reached 181-8d in 45 overs. Andy Bradley then took 5-33 as Denton were bowled out for 93, this following his 6-43 the previous year. Will Hargreaves 4-31 included his second hat trick of the season, the first time recorded by an amateur, as DSL?s last wicket fell on 178. An unbeaten 77 by Lee Dale gave Glossop an eight wicket win. It was a repeat of Dale?s fifty in 2012. Brett Collins and David Bell both reached 500 runs for the season for Woodbank but Mark Stringer?s 84 was top score as they reached 232 all out (Matt Curphey 6-63). Dave Taylor with 61 and Peter Walters (59) took Stand to 218-9 and a point with Nick Kennedy taking 5-94. Bilal Hassan scored 46 as Cheetham Hill made 150 all out with Gareth Williams 6-61 being his 15th ?five for?. Jamie Birch then scored 44 in a five wicket win for Roe Green. Dukinfield and Woodhouses traded places as Quiasar Rashid had a day to remember with 7-44 in Woodhouses 138 and then scoring 92 in the visitor?s seven wicket win. Thornham climbed off the bottom, consigning Stretford to that position as they racked up 291-7d. Danny Scott scored 58, Matt Micklethwaite 72 not out and James Maurice-Scott 41 and then Micklethwaite took 5-28, his first ?five for?, as Stretford were bowled out for 120 (Callum Parkinson 42). With St. Lawrence again winning at The Heys, a three run win against Glossop left West 14 points clear of Prestwich with three games left and the title virtually theirs. John Barnett?s unbeaten 59 took him beyond 500 runs in West?s 141 all out. It was by no means the first time that he had stepped up to the plate in a season of close finishes. Steve Oddy took 8-50 as Glossop were reduced to 72-8 but Tim Rogers (41) and Sam Dyson (31) took them to 133 before the ninth wicket fell. Another five was added for the last wicket but it fell with the home side still three runs short of West?s score. Joe Moss with 21 reached 500 runs in this match. Matt Hawley?s second ton of the season against Prestwich (111 n.o.) was his fourth in total as DSL reached 208-8d. It also earned him a shed full of votes in the Players Player of the Year award. Andy Bradley?s 5-87 took him past 50 wickets and in reply Prestwich were bowled out for 175, Ben Tighe?s 4-53 also taking him past 50 wickets. Matt Hawley likes The Heys, he had an unbeaten half century in a seven wicket win in 2012. Woodbank stayed 4th but moved up to 78 points, the same as Glossop, after they recorded a seven wicket win at Stretford. Chris Laker scored 53 in Stretford?s 170 all out but Nick Kennedy continued his good form with 6-63. David Bell then scored 66 not out for Woodbank. Roe Green?s win kept them in 5th place, Jamie Birch scoring 63 in Green?s 170-9. Karl Taylor took 6-73 and when Denton batted he passed 500 runs, but they were bowled out for 65, Andy Hough taking yet another ?five for? with 5-26. In the local derby at Throstle Bank Street, Dukinfield gained revenge for their June defeat with a 17 run win. David Mayne scored 52 and Andrew Gleave 55, his 30th fifty and one which took him beyond 500 runs. Lee Milner took 5-78 in Dukinfield?s 245-7d. In reply Imran Zaman also recorded his 30th fifty (65) to take him to the 500 landmark but Wade Lezar?s 7-81 bowled Flowery out for 228. Andrew Micklethwaite scored 68 and Danny Scott 63 to take Thornham to 230-5d, with Scott passing 500 runs but then 56 from Stuart Cormie took Woodhouses to 233-9 and four points. Chris Heywood?s 5-69 was his first ?five for?. Into September and Denton West were crowned as Champions when they defeated their closest rivals, Prestwich, at Windsor Park by two wickets. Tom Gibson scored 41 but a Prestwich total of 135 was felt to be below par. Steve Oddy took 4-59 and Hamish Dunlop 4-40 which took him past 50 wickets. John Barnett (37) again scoring runs in the big games, but it was left to Steve Oddy to strike the winning runs. Sam Holden was too quick for the early West batsmen and his 7-47 deserved better. Woodbank moved up to third place, a point behind Prestwich with four points at home to Thornham. Brett Collins scored 49 in Woodbank?s 199-9d with Tom Grey taking 5-75 (his first ?five for?) and brother Liam 4-44. Liam then scored 50 but Nick Kennedy?s 5-52 restricted Thornham to 172-9 and a point. Glossop suffered a reverse at Higher King Street when, in reply to Dukinfield?s 166-9 (Lewis Riley 48), they were bowled out for 95. Roe Green were bowled out for 71 at Sycamore Park but stayed in fifth place. Rahid Nadeem?s 5-26 was his 30th five wicket take and included a hat trick. It followed his 5-35 the previous year. Earlier DSL had scored 226-5 with Scott Allen scoring 62 and Alex Marsh an unbeaten fifty (his first). Andy Hough?s 4-94 took him past 100 wickets. Stand picked up five points at Denton, when after scoring 201-7d they bowled the home side out for 141. Richard Rothwell scored 83 and Alex Bell reached 500 runs. Woodhouses remained ninth but suffered a defeat at home to Flowery Field, being bowled out for 152 and losing by seven wickets. Lee Milner took 6-66 and then 94 from Imran Zaman took Flowery to victory. Junaid Maqsood scored 37 out of Cheetham Hill?s 166-9. Callum Parkinson reached 500 runs but 4-32 from Hafiz Aleem and 4-50 from Atif Riaz bowled Stretford out for 106. The morning after the night before and West travelled to Greenleach Lane only to be bowled out for 80 with Andy Hough taking 6-31. Jordan Stephens (46) and Justin Kenyon (31) were the unbeaten batsmen in a ten wicket win. Woodbank?s five points took them up to second place with Nick Kennedy?s recent good form earning 6-55 and taking him to 50 wickets for the season. It was his tenth five wicket haul for the home side as Woodhouses were bowled out for 92 in Woodbank?s nine wicket win. The weather helped push Prestwich down to third place after Dukinfield had scored 223 at The Heys. Quiasar Rashid scored 67 to pass 500 runs and Jake Fenton 40.Carl Hey was unbeaten on 44 and looking in good form when the rains came with Prestwich on 124-3 and in a reasonable position. However they should have been on 149 at that stage so they had to settle for a point to the visitors four. Glossop moved to within a point of Prestwich after totaling 233-3d at home to Flowery Field. Joe Moss was unbeaten on 91 and Alex Coates was unbeaten on 56 (his first fifty). Imran Zaman scored 48 for Flowery and Sam Dyson took 4-18 as they were bowled out for 155. When the rains came to Hamilton Road, DSL were still 19 runs adrift of Stand?s 121 all out with two wickets in hand, but as their revised target was 87, they pocketed all five points. The bottom two teams both won to leave Stretford on the bottom. Mohsin Saleem scored 63 and Ali Raza 53 in Cheetham Hill?s 168 all out (Tom Grey 4-62) but 55 by Andrew Micklethwaite and 59 from Saad Khan saw Thornham win by seven wickets. At Lesley Road, Chris Laker scored 60 with Andrew Neill taking 4-52 in the home side?s 182-7. Callum Parkinson (5-41) and Ahmad Mohammed (4-21) then combined to bowl Denton out for 95. Andy Hough was at it again for Roe Green in the last match of the season. He took 9-39, his 29th ?five for? to bowl Dukinfield out for 89 and take his season?s wicket total to 117. It ensured a six wicket win for Roe Green and gave them the last Lancashire Cricket Board Cup spot for 2014. Peter Walters enjoys his games at Windsor Park. He took 6-41 for Stand to follow his 6-26 and 85 runs in 2012 as Denton West were bowled out for 83, Stand winning by six wickets. Matt Curphey?s 3-29 took him to 50 wickets. Woodbank ensured that they would be runners-up in both the League and Walkden Cup when they won at Catherine Road having bowled Cheetham Hill out for 90 (Simon Read 4-43). Brett Collins scored an unbeaten 44 in Woodbank?s nine wicket win, with Keith Webb reaching 500 runs. Glossop?s five points at Woodhouses took them level on points with Prestwich, but moved them ahead of their rivals to third by virtue of more outright wins. They amassed 343-7d and Lee Dale who started the day on 1484 runs, moved on to 1716 with a league record score of 232.It was his 56th fifty and 14th century and he was well supported at the end of the innings by his captain Will Hargreaves who smashed a quick 60 not out. Dale had scored 119 in the 2012 fixture. Nick Hardman?s 3-112 took him to 50 wickets for the season. Woodhouses appeared shell shocked as Oliver Kenyon?s 6-28 bowled them out for 98. Ghulam Abbas with 6-35 helped dismiss Prestwich for 199 and James Wharmby reached 500 runs with his 39. In reply, Flowery Field failed to earn a point but deprived the visitors of a full five (again) as they closed on 130-9, Carl Hey taking 5-32. DSL and Stretford produced the second tied game of the season as they both scored 205. Stretford batted first with Callum Parkinson scoring 58 and Robert Grant 54, Ben Tighe taking 4-48. Scott Allen scored 60 for the home side with Adam Hawley?s unbeaten 56 being his 40th fifty and taking him to 500 runs. Callum Parkinson capped a fine all round day by reaching 50 wickets with his 6-85 including the last wicket of Danny Hall, caught by Tommy Wright after Hall and Hawley had taken the score from 192-9. Denton climbed above Flowery Field by virtue of five points against Thornham which, following Stretford?s tie, consigned them to bottom place. Steve Wharton (90) and Ryan Halpin (51) were the main contributors to Denton?s 221 and then 5-34 from Andrew Neill bowled Thornham out for 183. Earlier Liam Grey had taken 6-62 for Thornham. Following their win against Thornham in the 1997 Cup Final and defeats to Prestwich in 2000 and West in 2012, Glossop returned to the Final to defeat Woodbank at North Road. John Stopford was Man of the Match in the ?97 Final for his 69 runs and 2 stumpings and he bridged the gap to play in the 2013 Final. This time the M.O.M. was Tim Rogers who took 4-8 as Woodbank were bowled out for 85. He was also on 4 not out as Glossop won by six wickets, and he was also unbeaten on 88 the year before to win the M.O.M. award in the Hulme Trophy Final. He is the only player to have been named M.O.M. in the Hulme Trophy and Walkden Cup and to do so in consecutive years is a top achievement. In Round 1 Glossop squeezed home by 12 runs at Egerton Street, Lee Dale?s eighth ?ton? (114 not out) taking them to 231-4. Stephen Bates backed him up with 50 and in reply Steve Wharton (79) and Ashley Addison (51) saw Denton reach 219. Woodbank had a slightly easier day of it as they and Roe Green received Byes into the last eight. The first of Prestwich?s three encounters with Denton West came in the Cup when West scored 173-8 at The Heys. Danny Jones seventh ?ton? (103) and 61 from James Wharmby saw Prestwich race to a ten wicket win. The other team to reach the Semi-Finals, Stretford, began with a seven wicket win in the first round against Stand bowling them out for 54 with Adrian Holmes taking 5-14. Mohsin Saleem (57) and Bilal Hassan (51) both recorded maiden fifties as Cheetham Hill scored 210-6. David Mayne top scored for Dukinfield with 35 in a total of 159 as League U-18 XI bowler Omar Yazdani took 4-16. Scott Allen?s 67 was enough to give DSL a seven wicket win against Thornham, who were bowled out for 158. In the final match of the first round, Woodhouses scored 279-7 at Throstle Bank Street, Stuart Cormie scoring 77, Nick Doyle 52 and Scott Webb an unbeaten 74, his 20th fifty and his first since 2005. Flowery Field were bowled out for 129 in response. In their Quarter-Final match, Glossop repeated their 12 run win against another Denton side, this time DSL who were bowled out for 280 chasing Glossop?s 292-9. Lee Dale starred again with 97 to take him to 500 runs in mid June and Scott Allen scored 55 for the Saints. Woodbank?s first match in the Cup saw Brett Collins score 46 at Cheetham Hill in a total of 165. Bilal Hassan also scored 46 as Hill were bowled out for 144. Roe Green?s first cup match was not as productive, being bowled out for 135. Callum Parkinson scored 45 not out as Stretford got home with just two wickets to spare. Prestwich were yet to lose a wicket in the competition as they bowled Woodhouses out for 44. Carl Hey (4-16) and captain Andy Bradley (3-2) had earlier reduced ?Houses to 26-9 and then Danny Jones cracked an unbeaten 36 in the home side?s win. The Semi-Final was a different matter as Prestwich were bowled out for 180 in reply to Woodbank?s 251-8. Lewis McIntosh scored 71 and Brett Collins 49 as Danny Jones took 4-40. Jones then scored 45 but the home side succumbed to Mark Stringer?s away swingers (5-47), his 44th ?five for?. In the other Semi-Final, Lee Dale took his run total in the competition to 323 in three knocks with his 112 being his 11th century. Dale Pennington with 42 also contributed runs in Glossop?s 264-7 and then Will Hargreaves took 4-31 as Stretford?s last wicket fell with the score on 213. Callum Parkinson with his maiden fifty (51) and another 50 from Chris Laker were the highlights for Stretford. In the first round of the Reader?s Lancashire Inter-League Knockout Competition, the League side were hit by withdrawals due to injury and LCB Cup ties, but it was encouraging to see several players keen to do well on their debuts at the start of what could be lengthy representative careers. New captain Will Hargreaves? young side was up against a Ribblesdale League team which contained a few overseas players and on a scorching day at Edenfield they had no hesitation in batting on winning the toss. They set off like a house on fire with opener B. Dougal scoring exactly 100 in 95 balls with 15 fours and 2 sixes. J. Marshall scored a run a ball 65 and at the end of the 45 overs K. Robinson (37 off 19 balls) and B. Dowling (20 off 8 balls) saw the innings close on 292-6. Ben Tighe took three wickets, Dave Morrell two and Gareth Williams one. In reply Dale Pennington (53) and Nick Doyle (28) scored 68 together, but wickets then fell at regular intervals in a chase for quick runs, leaving the visitors on 151 all out. The Ribblesdale League have a good record against the LCL with 5 wins in 7 games but it is hoped for a better result in the 2014 first round when we play the Central Lancashire League on the back of a 5-1 win/lose stat. In the ECB National Knockout Competition, Grappenhall edged out Roe Green in the first round with one wicket in hand as they chased Roe Green?s 191-7d. Denton West?s Andy O?Brien was unbeaten on 50 as they passed Little Lever?s 103 for the loss of one wicket. In a 25 over match at Fox Lane, Leyland scored 139-6 and Prestwich ended one run short on 138-5 with Carl Hey unbeaten on 58. Andy Bradley, aided by a brilliant catch by Sam Holden, had earlier accounted for young Lancashire opening batsman Luis Reece for 21. In the LCB Knockout, Glossop scored 131-9 at Vernon Carus but lost by three wickets and Denton lost at home to Barrow. Woodbank won at DSL before losing to Farnworth in Round 2 and it was left to Prestwich to carry the LCL flag. They went past Rochdale by virtue of a bowl out and then posted 253 against Settle with Oli Holt scoring 59 and then Tom Gibson taking 5-55 as Settle replied with 224. Round 3 saw victory over Bury in another close game at the Heys and then the next visitors in the Quarter finals were the star studded Bamford Fieldhouse. Carl Hey was unbeaten on 51 as Prestwich posted 180-6 and then had the visitors reeling on 21-2 with Danny Jones removing Josh Tolley?s middle pole for 9 and Wilf Reeve bowling Grant Hodnett for 2. The rains then came and a replay, starting from scratch, was on the cards. Hey again scored a fifty (67), James Wharmby 47 and Tom Scott an unbeaten 27 including hitting the last four balls of the innings to the boundary in a total of 183. This time the visitors had a couple of early scares but Josh Tolley and Paddy McKeown saw them to victory. In the Readers Lancashire Inter-League Colts (U-18?s) Competition, Paul Carter?s team won their first Group match at Roe Green against the Bolton League, bowling them out for 148 in a five wicket win. Their next Group match was at Blackrod and after posting 153-8, they lost a tight match by two wickets. In their final match they bowled the Manchester Association out for 63 at Whalley Range to win by eight wickets and this was enough to see them qualify for the final as Group winners on run rate. They travelled to Middleton to take on the Group ?A? winners, the Central Lancashire League and batting first scored 186-6. Spectators thought that this was perhaps slightly under par, but excellent bowling and inspired captaincy from George Hill left the home side needing four off the last ball of the innings. There had been no maximums in the game, but a big six over mid-wicket saw the total to 189-6. This was an excellent game of cricket with the LCL just losing out to the holders. The League U-14?s, under Stuart Berry, competed in the Michael Roche Trophy and ended up as outright winners after sharing it in 2012. Having beaten both the Bolton League and Association they met a strong Palace Shield team in the final. Chasing an improbable target of 273-2, the LCL reached their target for the loss of 3 wickets. Captain and Man of the Match Matt Sonczak scored an incredible 152 not out. The team and squad deserved their victory and remained unbeaten during the season. Stretford won the North West U-17?s league for the first time ahead of Prestwich whilst the South East title was shared by Dukinfield and Glossop. In the Play-Offs Stretford defeated Glossop. In the U-15?s North West section, Stretford won the title for the first time ahead of Roe Green. DSL won the South East section for the first time ahead of Glossop. In the Play-Off final Stretford came out on top against DSL whilst in the Dave Hikin Cup final DSL defeated Dukinfield to win the cup for the first time. Stretford completed a hat trick of Junior championships when they became U-13?s North West champions for the 1st time with Prestwich runners-up. Flowery Field they became South East champions for the 1st time ahead of Glossop and they went on to win the Play-Off final against Stretford. Stretford recorded their first Cup final win when they defeated Prestwich in the Final. Dale Pennington of Glossop was voted as Player?s Player of the Year and he also scored most runs by an amateur in League games with 1,093. Prestwich?s Danny Jones however won the batting averages with 727 runs at 45.44. Woodbank?s Simon Read retained the bowling averages with 89 wickets at 11.64 and his 86 League wickets was the most by an amateur. James Maurice-Scott from Thornham won the Six Hit Trophy for the second time with a total of 35. Lee Dale had the best professionals? batting average with 1,716 runs at 66.00 and Roe Green?s Andy Hough won the pro?s bowling for the third year in succession with 117 wickets at 10.85. John Stopford (Glossop) with 41 victims won the 1st XI wicketkeeping 16 years after his first success with the fielding award being won by Mike Berry (Denton West) with 23 catches. Denton West won the Championship for the seventh time with Woodbank being runner-up. Roe Green won the Last Six Competition for 1st XI?s ahead of D.S.L. with Cheetham Hill winning the 2nd XI award for the first time ahead of Glossop. It was Roe Green?s 3rd win and Cheetham Hill?s 1st. Denton West 2nd?s completed the 2nd XI Championship and Hulme Trophy ?double? winning both trophies for the 2nd time and in doing so they were awarded the Team of the Year trophy. Cheetham Hill were runners-up in the League and Roe Green in the Hulme Trophy. Glossop won the 3rd XI League with Cheetham Hill being runners-up whilst Stretford defeated Flowery Field to win the 3rd XI Bryden Cup. Glossop?s Walkden Cup win against Woodbank at North Road was their second triumph following their 1997 win. Will Coates (Glossop) won the 2nd Division Players Player of the Year award as well as being the inaugural winner of the Phil Cheetham memorial Trophy donated by Phil?s family for the Young Player of the Year. Chris Laker pushed him close but he joined a list of outstanding winners of the Duncan Mee Trophy for Young Clubman of the Year. Coates won the 2nd XI batting averages with 1,029 runs at an average of 73.50 and Mike Murphy won the bowling averages with 38 wickets at 10.68. Tim Malkin (Glossop) came out top of the wicketkeepers with 41 victims and Denton West?s Gareth Senior had most catches with 20 having shared it in 2010. Denton West won the T. Saville-Whittle Memorial Bowl for the 3rd time ahead of Glossop. .
2013 was the 20th year of JW Lees sponsorship and they have decided to call it a day. They have been an excellent supporter of the League as they have of other local sports and our thanks go them. 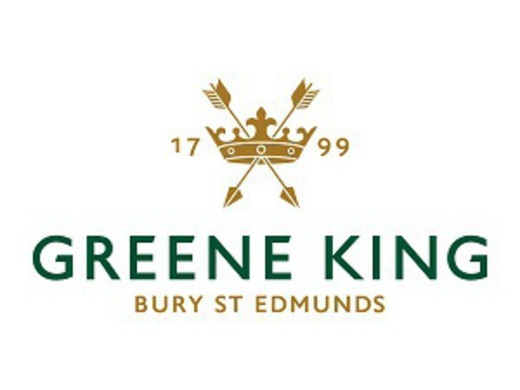 Our new sponsor is Greene King Brewery who have agreed to sponsor the League for 2014 to 2016 and we hope that the arrangement will prove to be of benefit to both parties. Any club wishing to change their brew to Greene King should contact Pat Lynch, Head of Sales Central & West, Greene King Brewing and Brands on 07974 132430. Thanks to the League Officials for their contributions once again and to the club representatives who run the League Management Committee. This concludes my 27th season as League Secretary and my 21st report for the Lancashire County League.